It doesn’t matter what the words are. They don’t have to be good, bad, or indifferent. They don’t have to make any sense. Your ego is not on the line. It’s just words. The most important thing is—don’t give up. Persevere. Every single day for 30 days you must produce 1667 words. If you produce 1667 words every day for 30 days, you will have 50,010 words. 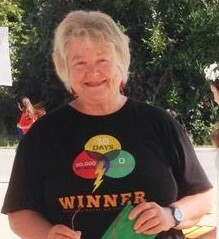 You will be a winner. You will have done the NaNo. You are a champion. 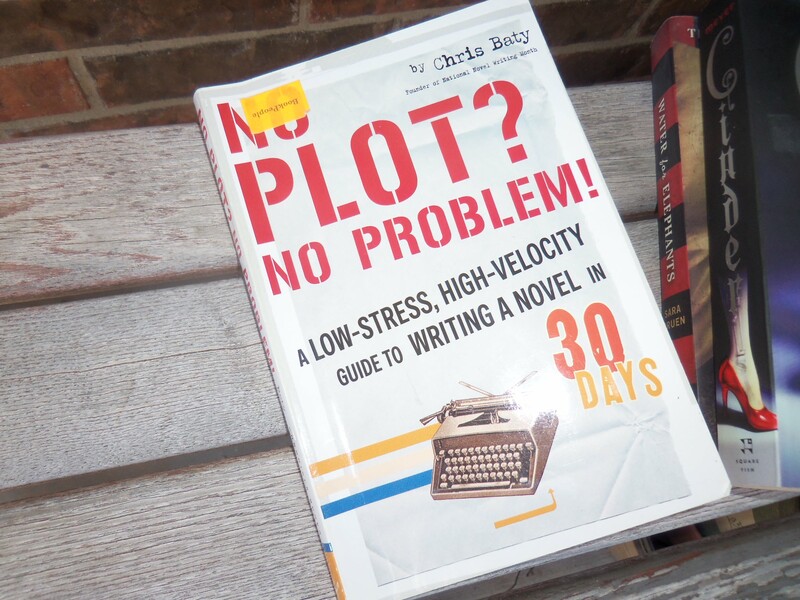 You have won the sure and certain knowledge that you can write a 50,000-word novel in 30 days. The excuses such as, “I don’t have time to write,” “I just can’t write a novel,” “I can’t think of a plot,” “I don’t think I have any talent,” don’t matter. If you produce 1667 words times 30 and enter it before midnight on Nov. 30, you can call yourself a novelist. Many writers start novels, but have trouble finishing them. They start thinking maybe the writing isn’t very good, the plot is stupid, the characters are boring, or the dialog is stilted. Then they quit the sad, unfinished baby novel and tell themselves maybe they really aren’t writers anyway. Congratulations. You have discovered your Internal Editor. It criticizes everything you do. It says you aren’t good enough. You’ll never be good enough. Why even try? Just go eat a quart of ice cream in the corner and shut up. Fun Fact: Did you know that over 250 published novels started out as NaNoWriMo projects? 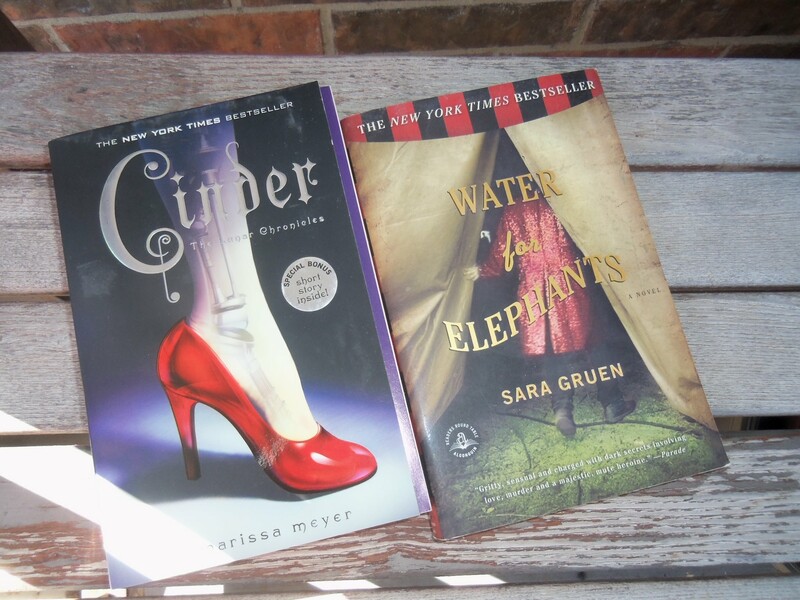 Among them are Sara Gruen’s Water for Elephants and Marissa Meyer’s Cinder. Now that we’ve explored what NaNoWriMo is and what it can do for you, let’s talk about actually doing it this November. My friend Kayla Marnach, whom I met in 2009 at a Writers’ League class at Sul Ross University in Alpine, is a five-time winner of NaNoWriMo. 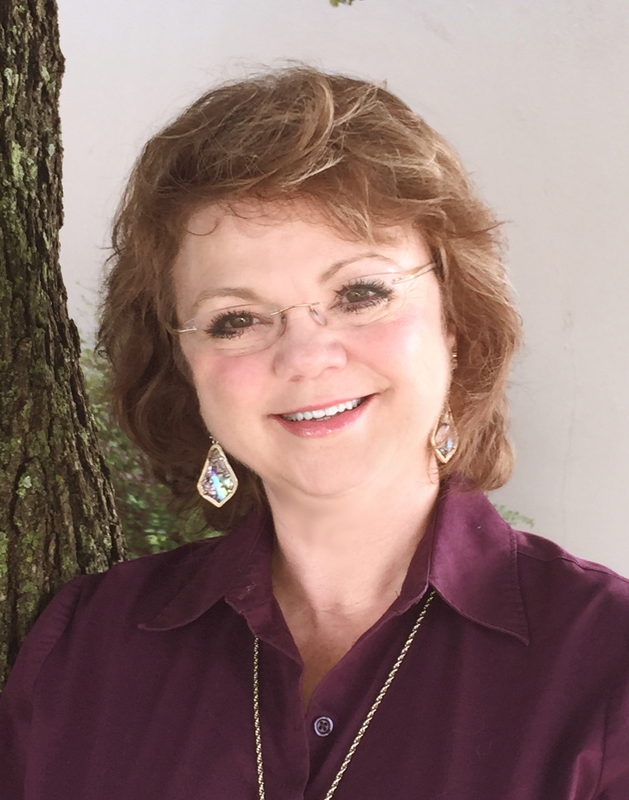 She will teach “Tips and Tricks are NaNo Bricks: Building Your Novel in 30 Days” at the San Gabriel Writers’ League meeting at 7 p.m. on Nov. 5 at the Georgetown Public Library. Kayla has also published a children’s book called My Body’s Mine. I will be in Georgetown to cheer her on and learn more about those tips and tricks. 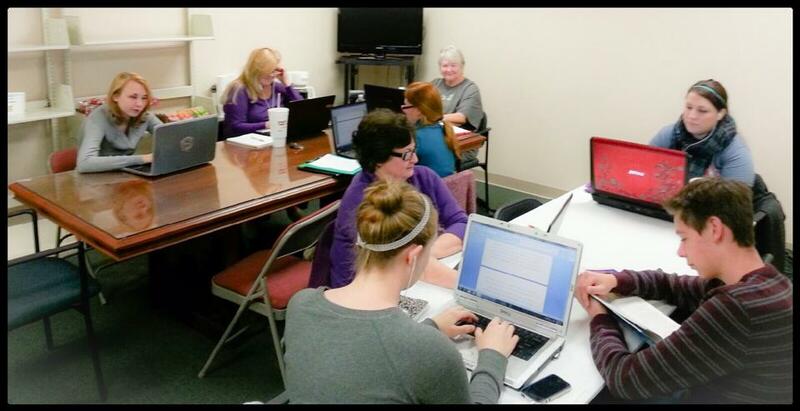 I am hosting two write-ins at the Hutto Public Library on Saturdays, Nov. 7 and Nov. 14 from 10 a.m. to 1:30 p.m. Write-ins occur when lonely NaNoers congregate with their laptops and snacks and coffee cups at a book store, library, coffee shop, restaurant, or any place that is having a write-in. People go there to work, to pound out words, to absorb caffeine and to ingest calories. They are seeking group warmth and solace, as, like herd animals, they stick together to ward off the terrors of novel writing. So if you want to be a Penguin (in the Austin region, we are the Penguins, as opposed to the Maryland Crabs, for instance) and write to glorify yourself and your NaNo regional group, look up http://nanowrimo.org/ After you sign up, find your region. You’ll find friends and forums. The folks on the website are very welcoming. It’s all free. You get pep talks and your own NaNo e-mail box and writing buddies and tips and encouragement. They are great cheerleaders. They are the antithesis of the Internal Editor. If you’re looking for tips on doing the NaNo, go hear Kayla at the San Gabriel Writers’ League on Nov. 5 at the Georgetown Library. If you happen to be passing by Hutto Public Library on Nov. 7 and 14, bring your laptop and come on in. We will give you big smiles and snacks. And it’s all free. To learn more about the local NaNo scene in Central Texas, go to AuNoWriMos on Facebook. To reiterate, get a free account at NaNoWriMo at http://nanowrimo.org/ and find your local region, find out who your Municipal Liaisons (ML) are, and look at the write-in calendar for November. Oh, you’ve got me all excited!! !